Whether you’re a new gambler or a professional one, you probably know that poker and blackjack are the top two card games in virtual and physical casinos. Their appeal can be seen by the growing number of blackjack how-to-win guides and the uncontrollable flow of poker game apps into app stores. However, though both seem quite similar, both of these card-dependent gambling activities are worlds apart. If you haven’t yet discovered what makes poker and blackjack different, read on. Poker players usually play against other gamblers whereas blackjack gamblers go up against the House. Because of this, blackjack is considered the riskiest game. However, with the right set of skills, you can easily make it through the game. 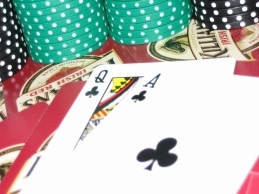 According to experts, both blackjack and poker are highly dependent on their players’ skills. However, of these two card games, blackjack requires a little more luck. This is because blackjack is designed to give the House an edge and most strategies have already been put to pasture by the world’s top casinos. So, your luck is a major requirement if you want to win big. On the other hand, players of all poker variants will be competing against one another rather than the House. Therefore, they will need a few winning strategies up their sleeves to cut their losses and top the rest. Poker is the slowest of both card games because it requires a lot of focus and attention. Besides, you will need time to think about your next step or else you will lose the game. On the other hand, blackjack is much faster since players need to move very quickly to get ahead of the game. Plus, you need to play quickly because this gambling activity benefits the House if you play longer. Though many poker players are also blackjack players and vice versa, the target audience for each is a bit different. Poker is more appealing to those who enjoy a little bit of competition whereas blackjack is best for those who want a little adrenaline rush while having fun. In addition, poker is most suitable for those who revel in human interaction whereas blackjack is perfect for those who enjoy a more one-on-one, limited interaction. If you believe yourself to be easy to deceive, poker may not be the best game for you. Poker players are excellent when it comes to hiding their emotions, which is why their expressionless faces are known as poker faces. On the other hand, blackjack is too fast for your dealer to be calculating and deceptive. Poker again triumphs against blackjack when it comes to complexity. This is because the former requires intelligent strategies that differ from one player to the other. In addition, decisions in poker games depend on numerous factors, such as your position at the table, other players’ positions, their level of expertise, and their character. However, as blackjack is fast and less interactive, you only have to work with your dealer and quickly collect your cards. This is probably the only point where both poker and blackjack end up with a tie for different reasons. Poker is supposedly considered more profitable since its payout tends to be higher. However, considering the time and mental effort you need to put in, you may decide to go for the quicker and steadily profitable blackjack. Yet, remember to back away quickly with your winnings or else the House will take all. So, there you have it; a comprehensive look at the two most popular card games in the europa casino world. If you haven’t tried one, it’s about that you do. You may get casino bonus code to be encouraged to play more games. However, make sure that you’re equipped with a lot of strategies to win big.